An efficient and high-impact campaign can make or break true market adoption of an innovative healthcare technology solution. This is an aspect of the augmented product that a successful healthcare technology company cannot afford to ignore. 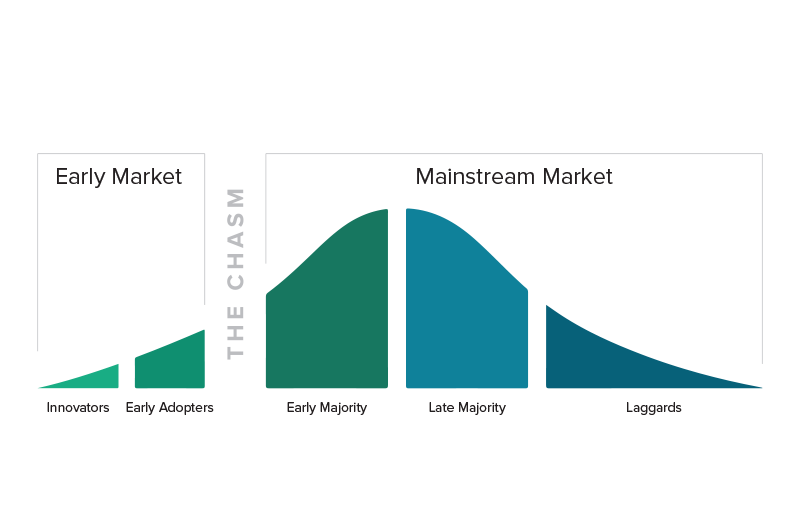 Crossing the chasm to mass adoption is a challenge for any innovative technology, especially in healthcare. However, the right strategy for clinical marketing campaign can help attain escape velocity and launch the innovation towards adoption en masse. By leveraging passionate early adopters, creating an efficient educational platform, and partnering strategically with medical associations, a powerful engine can be constructed to boost any innovative healthcare technology solution from having an audience of few to commanding the utilization by the masses. Let us help your company develop the clinical marketing campaign that will keep your customers engaged, empowered and enraptured. Let us help you architect this campaign engine to take your innovative healthcare technology business to the next level. Over the last decade, a tremendous focus has been placed on the value of medical innovations to ensure that payers are shouldering the economic burden under financial sound rationale. As a result, there has been an precipitously escalating demand for thorough healthcare economics vetting on the healthcare provider side. Yes, it is a newer, better medical technology, but how much better clinically and does it reduce overall economic burden to the healthcare system?